Thirty-five teenagers from Taiwan finished their 1,000-kilometer cross-Straits bike tour on Friday as they arrived at Shanghai Film Museum in the rain brought by typhoon Jongdari. Thirty-five teenagers from Taiwan finish their 1,000-kilometer cross-Straits bike tour on Friday afternoon as they arrived at Shanghai Film Museum. 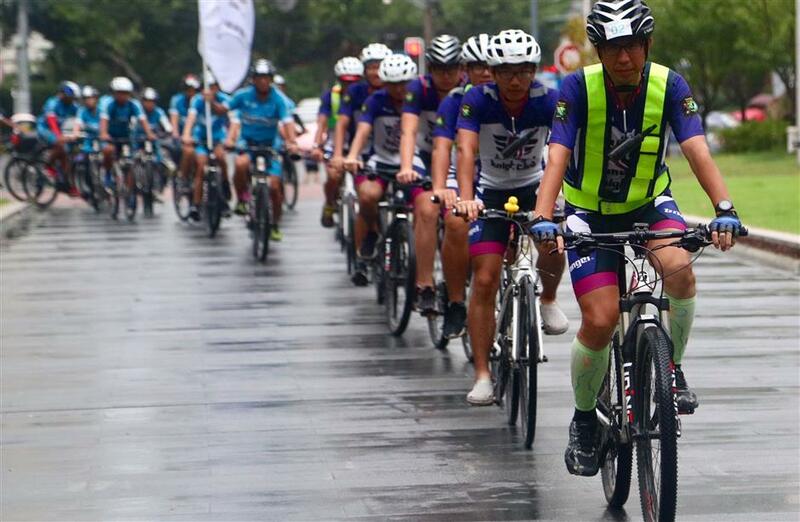 Sponored by the Bike Angel Charity Tour for Cross-Straits Cycling Dream program, the teenagers, aged between 12 and 16, set off from Nantou County in Taiwan on July 15 and traveled through Zhejiang and Jiangsu provinces despite a typhoon, storms and scorching weather. 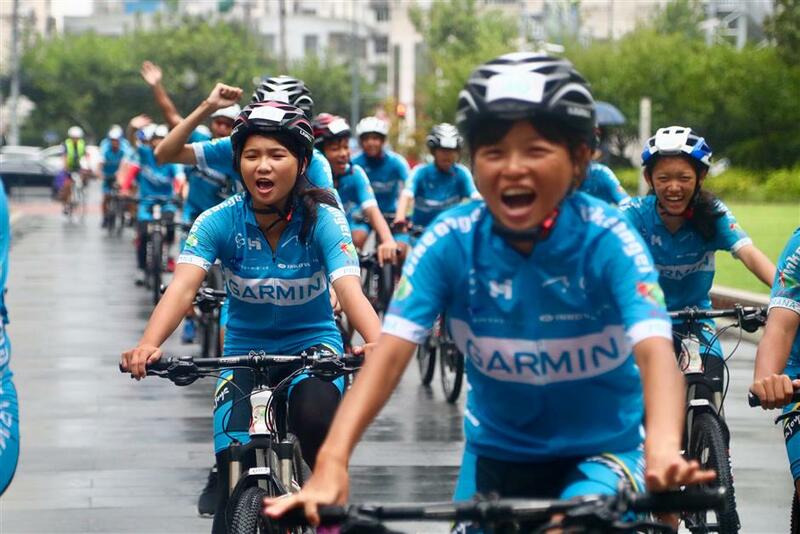 They began their final lag of the 100-kilometer cycling tour in Shanghai on Tuesday morning and rode through Jinshan, Pudong, Baoshan and Xuhui districts in the past four days with about 30 volunteers. It was the second time for Deng Yu-Jiva, 15, to participate in the tour. "I took part in the ride for the first time last year and applied for it again this year because it's a great opportunity to see different cultures across the Straits," he said. "And as a veteran rider, I can also help the new members." The Bike Angel Charity Tour was initiated in 2012 by Taiwan social service enthusiast Yang Min-Chung to help vulnerable teenagers in Taiwan who are in orphanages, suffer from poverty, or are from minority ethnic groups to realize their dreams of travelling around the country. Five tours were organized between 2012 and 2017, assisting about 180 Taiwan teenagers to ride through 50 cities with a total distance of about 7,800 kilometers. 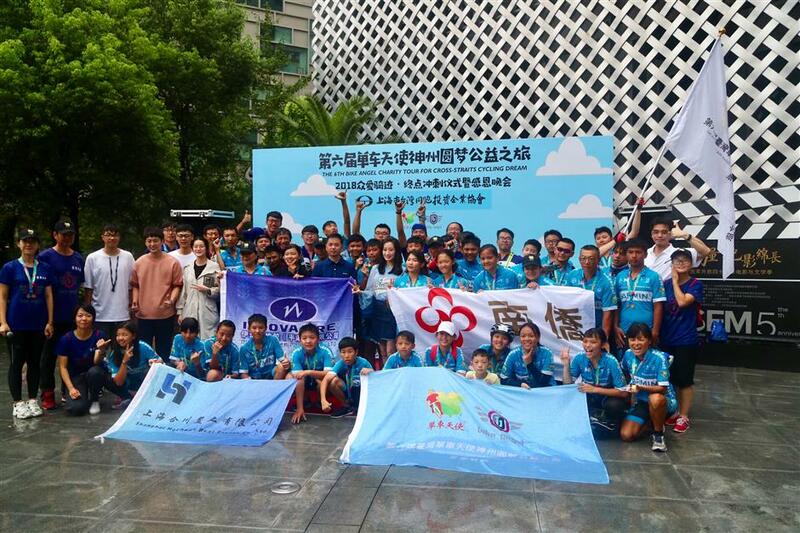 Taiwan teenagers and volunteers pose after they finish their bike tour in Shanghai on August 3, 2018.